Happy New Years Eve! We have had a wonderful holiday week away, and I am excited to be back today and cannot wait for the new blogging year. 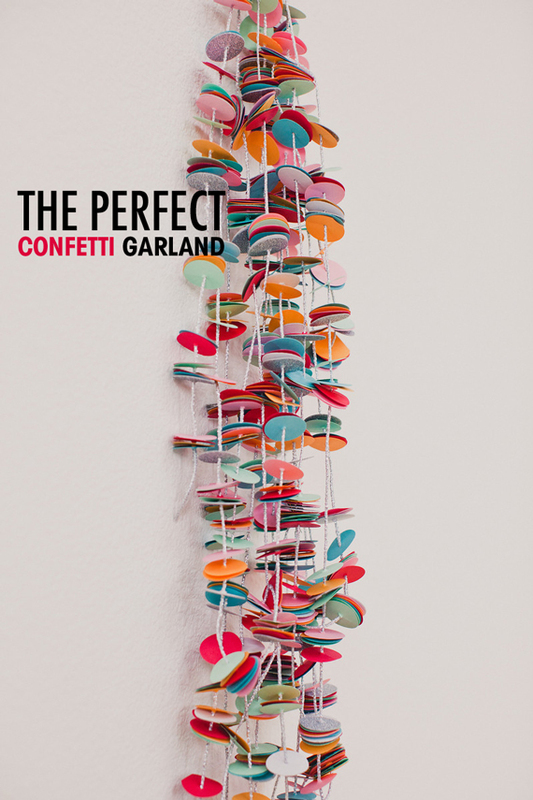 Before we ring out the old tonight, I wanted to share this easy DIY for perfect confetti garland. 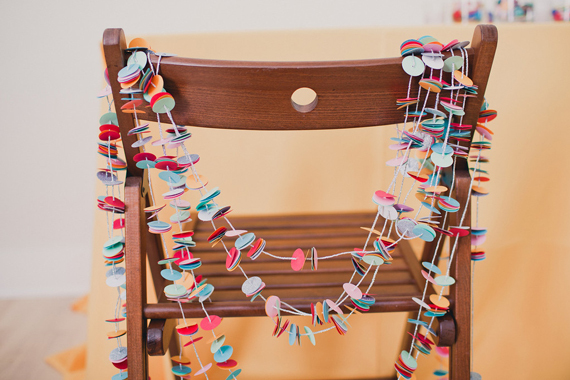 The garland is bright, simple, and a perfect rendition of a stand-by celebration staple. It’s a simple last minute project for tonight, and a festive update for any party you might be planning in 2013. 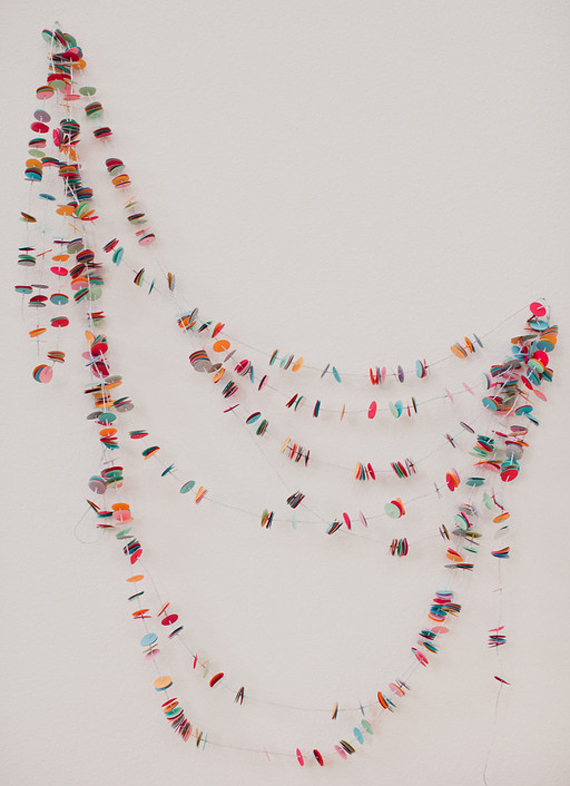 May this year be a filled with bright confetti, garland filled parties, and simple pleasures for us all. 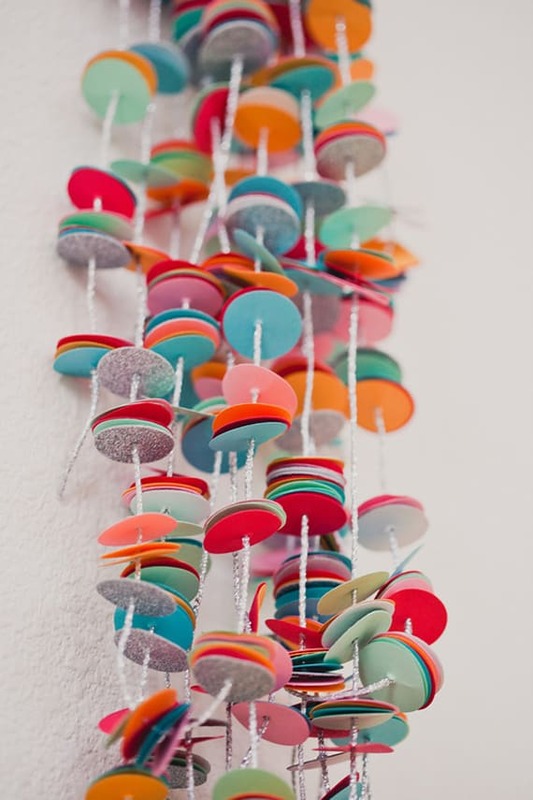 Make this perfect confetti garland by using a Martha Stewart Circle Paper Punch, 12 sheets of multi colored card stock, a silver cord, and a large eye sharp needle. Directions: Using the circle punch, cut circles out of the card stock. Thread the needle with the silver cord and string each circle one by one. Spread the circles out across the entire length of the cord. Drape and hang where you please! See more easy party updates right here and have a happy and safe celebration tonight. 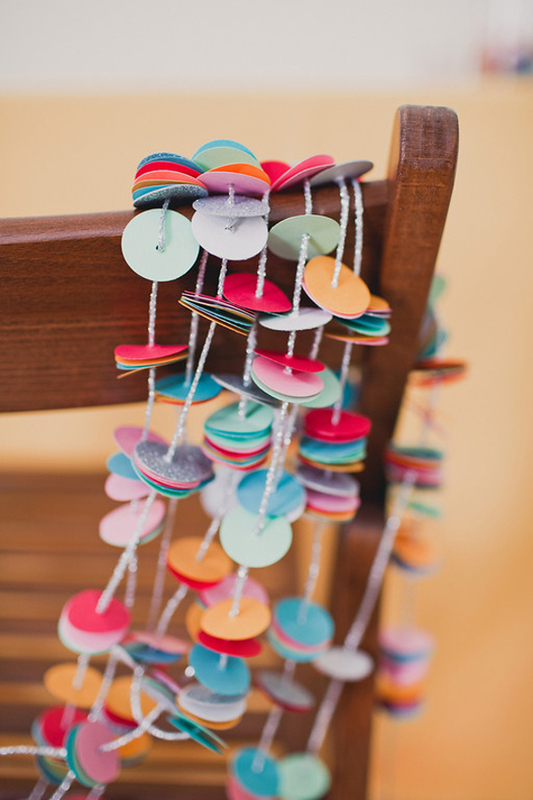 The perfect party garland for A Subtle Revelry by Carter & Cook Event Co., photography by Anika London Photography. this is the best garland! I love the bright colors! i love this. it’s beauty + simplicity. thank you for sharing. 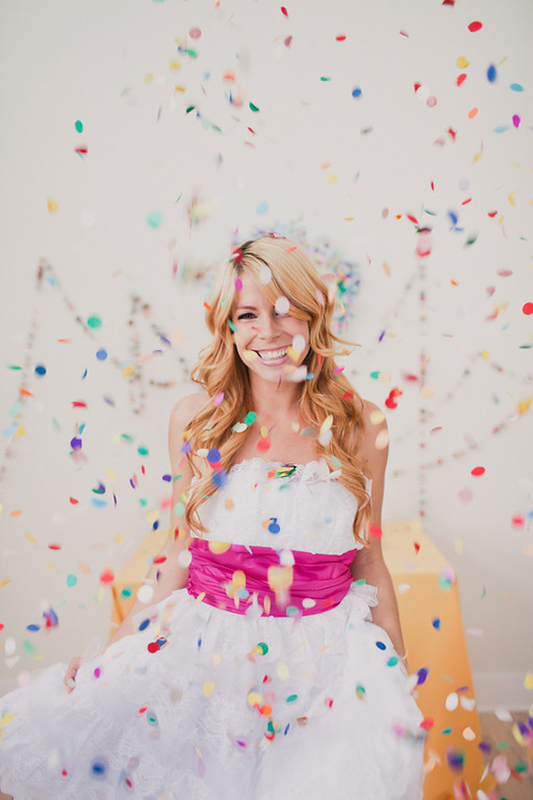 Pingback: so how do you throw a confetti party? So pretty….loving your blog! I am your newest FB Like and follower! Colorful confetti in the picture looks great. I love the bright colors.